Stinking Strategic Thinking | Fulcrum ConsultingWorks Inc.
What’s that smell? Rebecca provides examples of stinking strategic thinking that she has seen all too often. 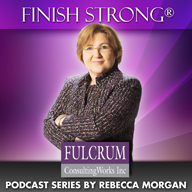 This entry was posted in Podcast Series: Finish Strong® and tagged strategy by Becky. Bookmark the permalink.